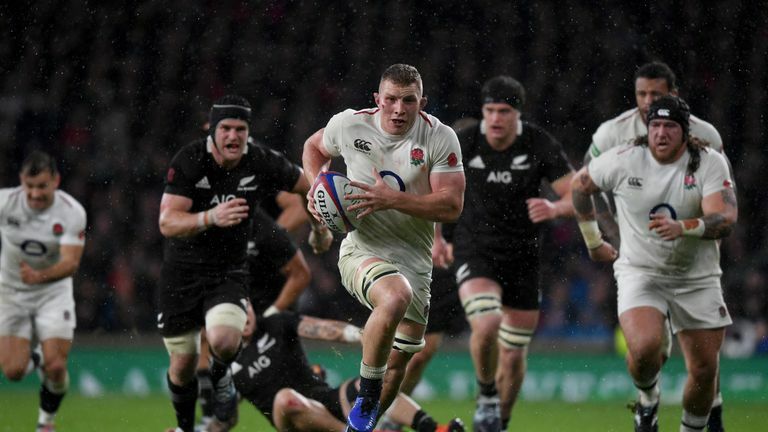 England had a late try ruled out in their 16-15 loss to New Zealand at Twickenham on Saturday, but was it the right call? In the 75th minute, with England behind by a single point, Courtney Lawes charged down TJ Perenara's box kick, with Sam Underhill claiming the loose ball and racing away to score in the corner. However, the referee sent it upstairs for the TMO to review, and the fourth official said Lawes had strayed offside in the build-up to the charge down. #Followtherose this autumn with all of England's Tests live on Sky Sports throughout November. After Saturday's New Zealand clash, the action continues with games against Japan and Australia.